The Best Superfood blogs from thousands of top Superfood blogs in our index using search and social metrics. Data will be refreshed once a week. Los Angeles About Blog Julie Morris is a Los Angeles-based natural foods chef, on-camera personality, and New York Times best-selling cookbook author. An internationally-known pioneer in cooking with superfoods, Julie is also a spokesperson and executive chef for Navitas Naturals, a fair trade company that specializes in 100% organic superfoods, as well as a recipe developer and consultant. Facebook fans 62,307. Twitter followers 12,744. San Francisco, CA About Blog Explore all about superfoods in this Reddit community. Facebook fans 1,164,641. Twitter followers 523,229. United States About Blog Superfood smoothie recipes that are designed to target your health goals. Over 100 recipes scored for over 50 different health goals. Facebook fans 158,962. Twitter followers 908. New Zealand About Blog Everything You’ve Ever Wanted to Know About Superfoods Begins Here...by Iris Huebler. She is the founder and owner of the Superfood Academy, a community dedicated to educating, leading and inspiring you to achieve optimal health by growing, sourcing and preparing your own superfoods. Facebook fans 104. Twitter followers 33. London, England About Blog At Superfood World, we believe that food is medicine. We harness the power of nature to bring you wholesome, organic superfoods and supplements that could transform your life. Facebook fans 10,768. Twitter followers 1,022. 7. The Australian Superfood Co | Discover the delicious ancient superfoods of Australia. Australia About Blog Stay up-to-date with the latest Australian superfoods, community involvement, recipes and health and fitness advice from The Australian Superfood Co experts. Taipei, Taiwan About Blog RUNIVORE is an Asia-based running food company started by three regular dudes turned ultra-runners who weren’t satisfied with their nutrition options and decided to make their own. Runivore offers supplements created with natural superfoods that are effective and delicious. Facebook fans 4,028. Twitter followers 234. Hudson Valley, NY About Blog Amrita Bars was founded in 2012, based on Arshad's journey with using an allergy-friendly wholefoods approach to help his son recover from autism. Amrita bars are plant-based energy bars that are made with only of a hand-full of fruits and seeds. The bars are free of gluten, peanuts, dairy, soy, GMO and cholesterol. The bars are full of superfoods like chia, coconut and maca. Facebook fans 5,444. Twitter followers 3,553. Surrey, UK About Blog Creative Nature Superfoods are the home of a wide range of Invigorating raw superfoods to make you live, look & feel your best yet! Facebook fans 7,662. Twitter followers 22,965. Ojai, CA About Blog Boku Super Food Phytonutrient Powder. Specializing in the absolute highest quality certified organic, vegan, and kosher superfood products. Facebook fans 14,383. Twitter followers 2,783. Wien, Österreich About Blog Inspired by ayurvedic knowledge of the holistic effects of food, a few years ago we began to create effective tea blends. But that alone was not enough. So we went in search of a method to increase for us people of the 21st century, in a simple way our well-being and our natural zest for life. We discovered the nutritious and vitamin-rich superfoods for us and laid the foundation for our range. Portland, OR About Blog Upgrade Your Health to Chocolate Bliss Raw SuperFood Drink! We ship Chocolate Bliss Powder, Sun Fire Salt, Tocotrienols and more raw, vegan SunFire Super Foods created by David Favor of Radical Health. We provide Raw Recipes and Support for Health Upgrades. Facebook fans 447. Twitter followers 142. 14. Supernola - Supernola Speaks. Harrisburg, PA About Blog Superfood granola blog food blog paleo blog paleo food blog paleo lifestyle grain free gluten free blog what to eat before a workout supernola superfood recipe. Facebook fans 707. Twitter followers 219. About Blog I found the thematic corset "raw food" a little bit too tight so I began to occupy myself with so-called "Super Food" (food with a very high density of nutrients) to expand my range. With this blog I want to share my knowledge and my own personal experiences about beauty, taste and health effects of raw food dishes. 16. POW! SUPERFOODS | Superfood for a Super YOU! Ventura, CA About Blog You'll find lots of great articles on our Superfood's nutritional facts, information on our products and company. Read away. Baking and Cooking delicious recipes and healthy options found at POW! Facebook fans 81. Twitter followers 326. About Blog Vivapura is a superfood company focused on bringing the highest quality products to customers while following the path of conscious business. Facebook fans 6,504. Twitter followers n/a. Manhattan, NY About Blog Certified holistic nutritionist fueled by (mostly whole plant-based) superfoods! Facebook fans 39. Twitter followers 15. New York, USA and Michigan About Blog Our names are Lexi and Beth, and we are a mother-daughter duo from Michigan! We began our food photography & recipe development journey in June of 2015 as a way to share our passion for cooking and nutrition. All recipes are gluten-free, most are completely vegan, and we try our best to sprinkle in “superfoods” as often as possible. 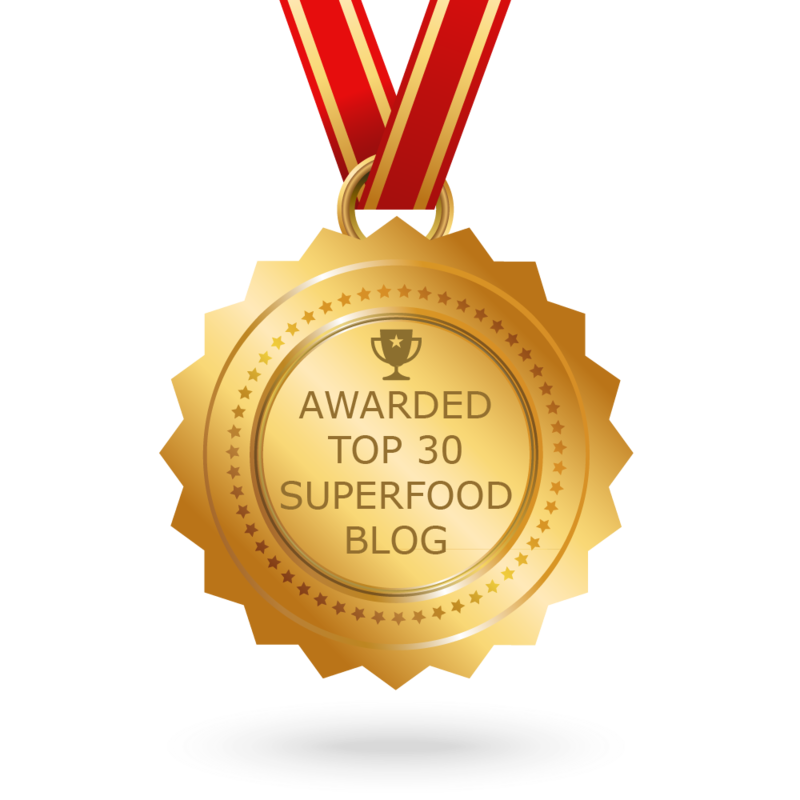 CONGRATULATIONS to every blogger that has made this Top Superfood Blogs list! This is the most comprehensive list of best Superfood blogs on the internet and I’m honoured to have you as part of this! I personally give you a high-five and want to thank you for your contribution to this world.